BMMI Group | Plastic bag free week at Alosra Supermarket! Plastic bag free week at Alosra Supermarket! Alosra supermarket in Bahrain is launching its first plastic free bag week from November 18 to 24, 2018. In total, half of all plastic produced is designed to be used only once and then thrown away. Today, humans produce about 300 million tons of plastic waste every year. That’s nearly equivalent to the weight of the entire human population; which is absolutely staggering! 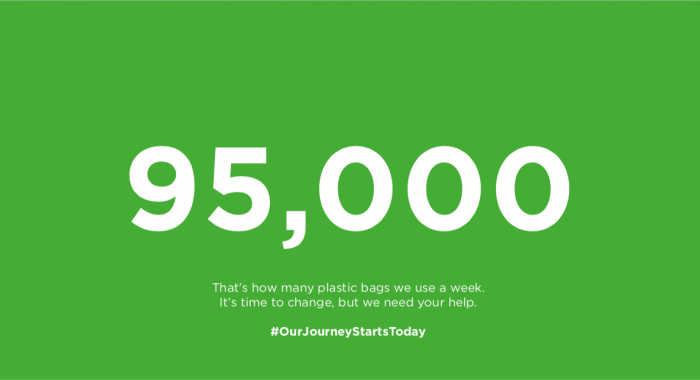 The reality is, Alosra alone uses 5 million plastic bags a year, but together, with your help, the time has come to change this figure. “By 2025, we aim to be a force for positive change”, states Yasmin Mohamed, Head of Corporate Communications and Marketing. “We want to help transform Bahrain's plastic infrastructure by working towards reducing our environmental impact. That’s why Alosra is currently on a plastic reduction mission, working on finding suitable and sustainable packaging solutions for our products”. Jaffar Al Asfoor, Head of Food Retailing and Production deems that by far, the first and biggest step is to remove all plastic carrier bags by 2020. “On the 18th of November, we are starting with a plastic bag free week; which will then happen every month to see how our customers react to the change Whilst it’s only a week, this one step will save 95,000 plastic bags”, he shares. The plan is to start small and work towards long-term solutions. This is going to be a very exciting and challenging journey for us over the next five years, but we’re going to need your help, so we hope that you will join us on it. This is just the start. We want you all to be a part of this process and start making small changes to break free from plastic. More is coming, stay tuned for updates!